Sub-Surface Sub-Antarctics: What’s Below the Surface? I’m in the second year of my Masters degree now – and expected to write a thesis before the year is through. I’m writing it about Marine Metre Squared – a citizen science project that’s all about getting communities involved with marine biology. I have tried to find ways to tie that in with my interest in the Sub-Antarctic Islands and so when the picture below popped up on my Twitter feed, I was inspired to do some research on what one might find in the Southern Ocean surrounding the Sub-Antarctic Islands of New Zealand. “Playing host to larval fish at a depth of 24m off subantarctic Campbell island, a large Cyanae sp. looks like an exploded ball gown.” (Photo: New Zealand Geographic). New Zealand’s Sub-Antarctic Islands play a vital role in maintaining the ecological health of the Southern Ocean. Marine mammals and penguins rely on them to stop, rest and breed. But the ocean surrounding them is just as important – it feeds the wildlife that stops to populate the islands. The Light-mantled Sooty Albatross relies on the Southern Ocean for sustenance (Photo: Kimberley Collins). We often think of the ocean as foreign – not many of us interact with it daily despite it being within reach for most New Zealanders. So how do we expect to experience what’s below the surface in the remote Sub-Antarctic Islands? 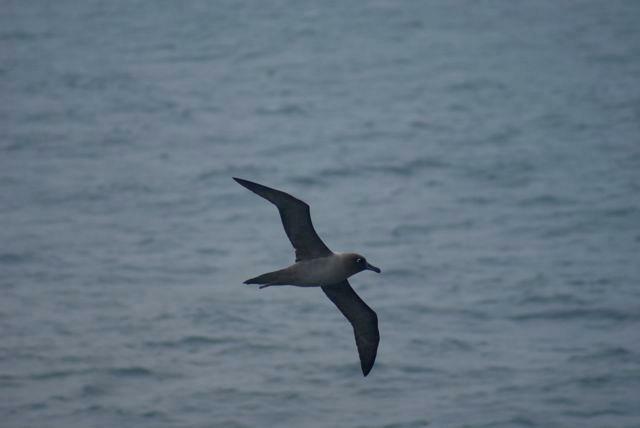 NIWA researchers have found that marine biodiversity and levels of endemism around the Auckland Islands, Campbell Island, the Bounty Islands, and the Antipodes Islands are higher than it was originally assumed. In April 2005, surveys of the subtidal ledges around the Bounty and Antipodes Islands drew comparisons to the biodiversity found in tropical and North Pacific environments. They suggested that Sub-Antarctic marine biodiversity was 25% higher than that in the Hauraki Gulf and 20 – 30% lower than that in Fiordland, which is renowned as one of the most biologically diverse areas in the world. 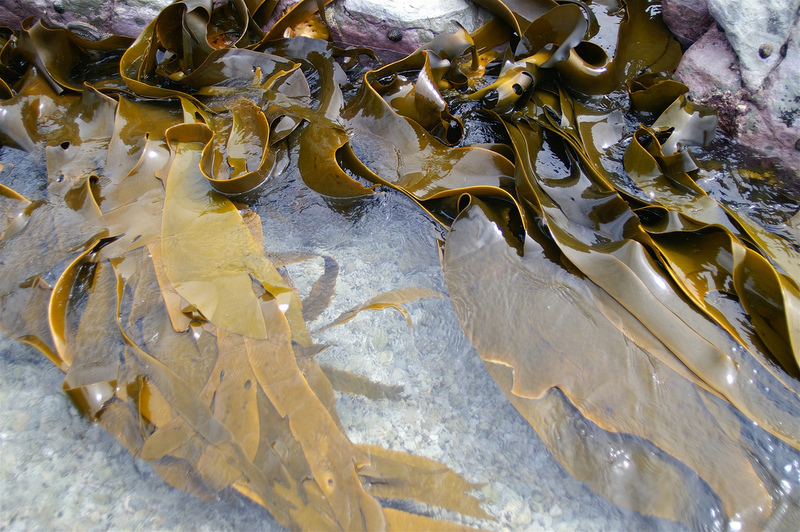 While the Southern Ocean is home to everything from plankton to cetaceans to fish – the first species I think of when someone mentions the region is bull kelp. It’s one of the more stunning sights surrounding the Snares and, as I recently wrote in a blog post for Marine Metre Squared, has some novel applications in New Zealand culture. 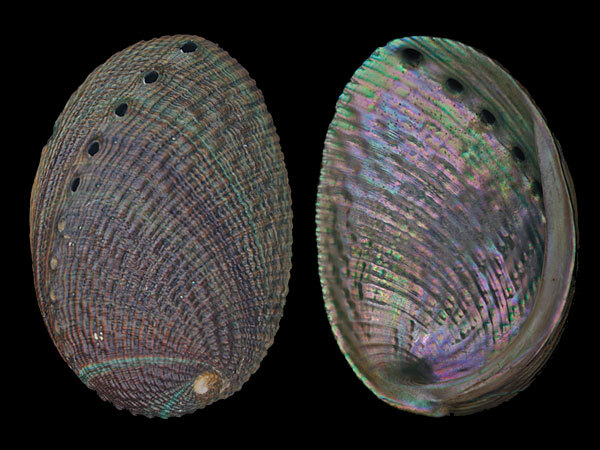 On the rocky shores you will find a number of endemic species such as the whitefoot paua (Haliotis virginea huttoni) – a subspecies of the paua commonly found in New Zealand that is endemic to Campbell Island and the Auckland Islands. The species that we see on the surface impact those in the ocean. The Southern Blue Whiting (Micromesistius australis) is relied on heavily by seabirds. 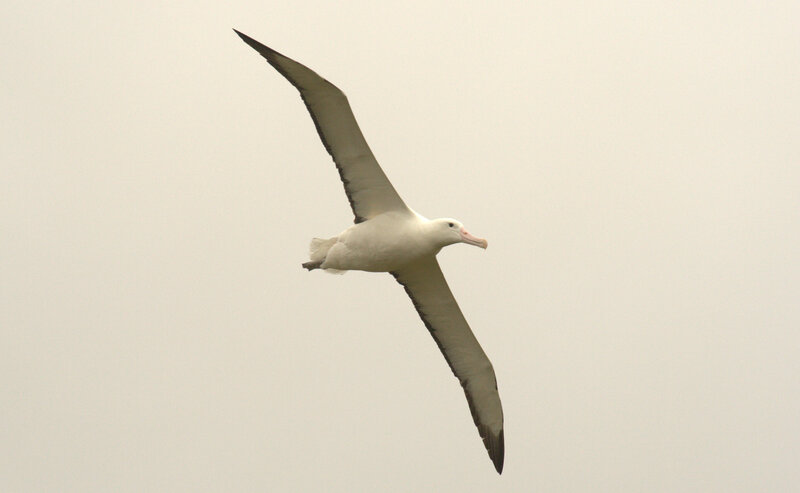 A study in 1997 revealed that the majority of food caught and fed to Campbell Island Albatross (Thalassarche impavida) chicks during the breeding season was Southern Blue Whiting. The Southern Blue Whiting (Micromesistius australis) that feeds the Campbell-Browed Albatross (Photo: United Fisheries). And so it is no wonder that there have been calls from concerned citizens, scientists, and politicians to change the way the oceans around the islands are managed. The Sub-Antarctic Marine Reserves Bill had its final reading in parliament in late 2012, and proposes to create two more marine reserves around the Bounty Islands and Campbell Islands. They will cover 58% and 39% of those islands’ territorial ocean, effectively protecting a total of 435,163 hectares. When added to the marine reserve that already exists around the Auckland Islands, nearly a million hectares of ocean around the Sub-Antarctic Islands will be protected – which is great news for the birds, cetaceans (whales), and pinnipeds (seals) that rely on them. What species do you know of that are found in the Sub-Antarctic marine environment? Last month, it was announced that 140 full-time positions will be cut from the Department of Conservation. In the last two years, the department has had $54 million dollars slashed from its budget – as Tom Scott illustrated, it’s the same as sucking fat from a skeleton. In an attempt to show the government the value that we as New Zealanders place on conserving our environment, Forest and Bird has announced that this Thursday the 11th of April will be their first Love DOC Day. It’s pretty self-explanatory – they want us to show the government and the Department of Conservation that we care and how much we appreciate all that they do to conserve our precious species. I fell in love with birds in my first year of university. I fell in love with DOC when I first worked for them as a volunteer and saw how hard they work to save my first love of the feathered variety. Most encouraging of all was that the hard work was happening at every level of the department and wasn’t limited to those with “ranger” in their job title. I’ve seen everyone from programme directors, to researchers, to cooks, to the five-year old son of an island ranger help out in some small way – by setting a trap, monitoring a stream, or cutting out an invasive plant species. I fell in love with the Sub-Antarctic Islands when I visited them in 2010. They are managed by the Southland Conservancy who have played a critical role in conserving them as wildlife hotspots. The species you will find there today simply could not and would not have survived without their pest control efforts or breeding programmes. These islands are New Zealand’s diamonds in the rough – home to species found nowhere else in the world. Think of them as tiny life rafts for birds, seals, and rare plants that are anything from 3.5 to 112 square kilometres in size. Without DOC, these life rafts could sink. It’s the Department of Conservation who carry out the pest control. It’s the Department of Conservation who monitor the streams. It’s the Department of Conservation who set up breeding programmes that can and have saved species from extinction. While the future may look bleak, I want to look at the past – at the evidence – of why the Sub-Antarctic Islands need the Department of Conservation and to show you some of the species that could actually be affected by these changes. 1. They eradicated the Norway Rat from Campbell Island and saved a species from extinction. You will find Campbell Island 700 kilometres south of Bluff. It’s remote, it’s exposed to extreme weather conditions – and it was once covered in rats. It is also home to the Campbell Island Teal – a nocturnal, flightless duck that was thought to be extinct until it was rediscovered by DOC staff in 1975. The reason for their assumed extinction – rats. The remaining birds were quickly removed and the Department of Conservation spent twenty years trying to figure out how to remove rats from the island despite hearing cries of “crazy” and “impossible” from conservationists around the world. Nothing could deter them, and the island was declared rat-free in 2003. Not only did they break the record for the largest island eradication (previously held by the Kapiti Island project), they returned Campbell Island Teal and gave them a fighting chance at re-populating the island. Read more about the conservation of Campbell Island Teal here & more about the eradication here. 2. They’re looking out for New Zealand’s most endangered marine mammal. There once was a time when the New Zealand Sea Lion was found all over New Zealand’s south-east coast. 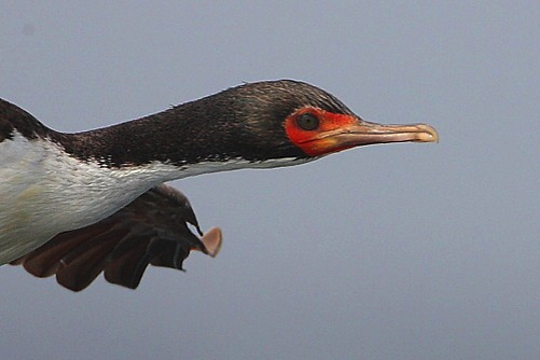 Today 80% of a declining population are found in the Auckland Islands. 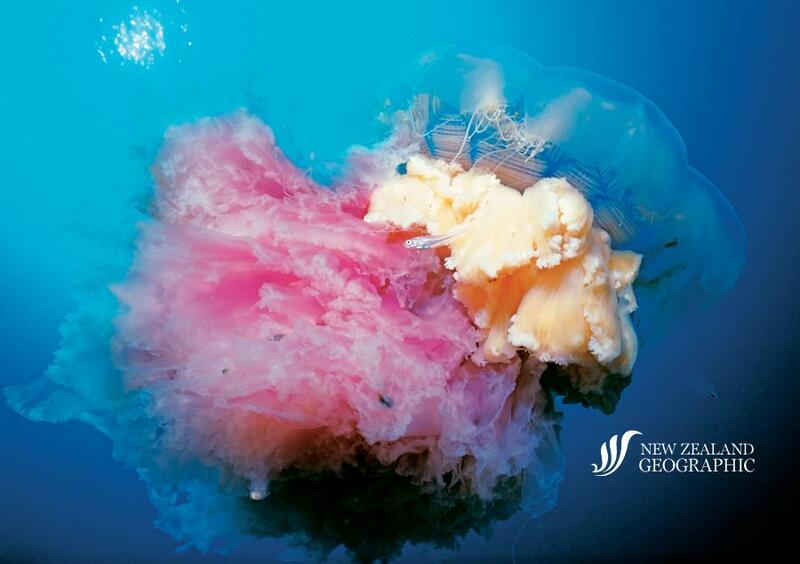 The Department of Conservation has run an annual research programme since 1994 that provides valuable scientific information to the New Zealand government in an attempt to assist them in enforcing fishing protocols that will benefit the survival of this species. Read more about DOC’s NZ Sea Lion Management Plan here. 3. Because look at all these rare, endemic and endangered species! They’re all endemic to their own islands. I can’t stress this point enough: without DOC they’d be gone. Forever – as in no bringing them back. I can almost guarantee that if they could talk, they would tell you how much they love DOC. I know I love DOC on their behalf, and I hope you will help me to show it on April the 11th! 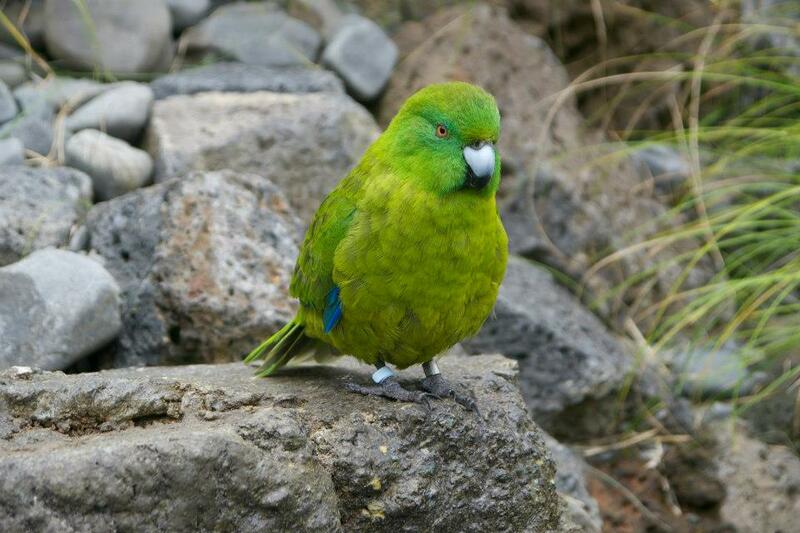 tThe Antipodes Island Parakeet is endemic to the Antipodes Islands (Photo: Kimberley Collins). 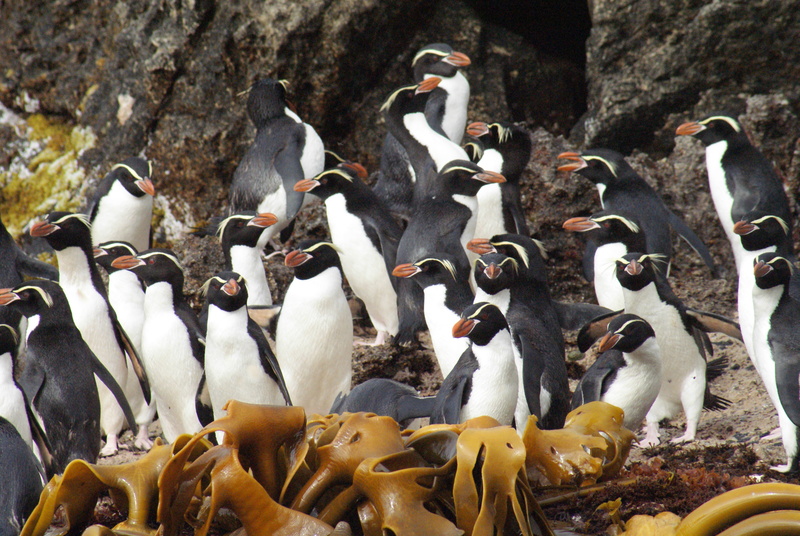 The Snares Crested Penguin is found only on the Snares Islands (Photo: Kimberley Collins). You may remember a post that I wrote a few months ago about the New Zealand sea lion. 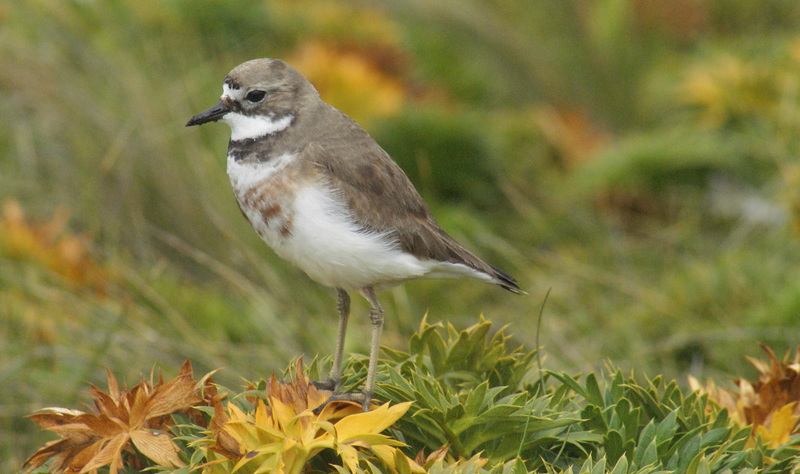 It was about how the largest population of this New Zealand endemic is declining rapidly on their Sub-Antarctic refuge in the Auckland Islands. While writing my e-book about Campbell Island I thought I would head across the road to interview Dr. Bruce Robertson from the University of Otago’s zoology department. Dr. Robertson has written a number of papers about the New Zealand sea lions; their decline, population structure, genetics, and the bycatch management system. I spoke to him about the use of Sea Lion Exclusion Devices (also known as SLEDs), specifically whether or not they are effective. I was interested to hear about how the government (the Ministry for Primary Industries) have gone about testing these devices to ensure that they are working and successfully protecting this vulnerable species. 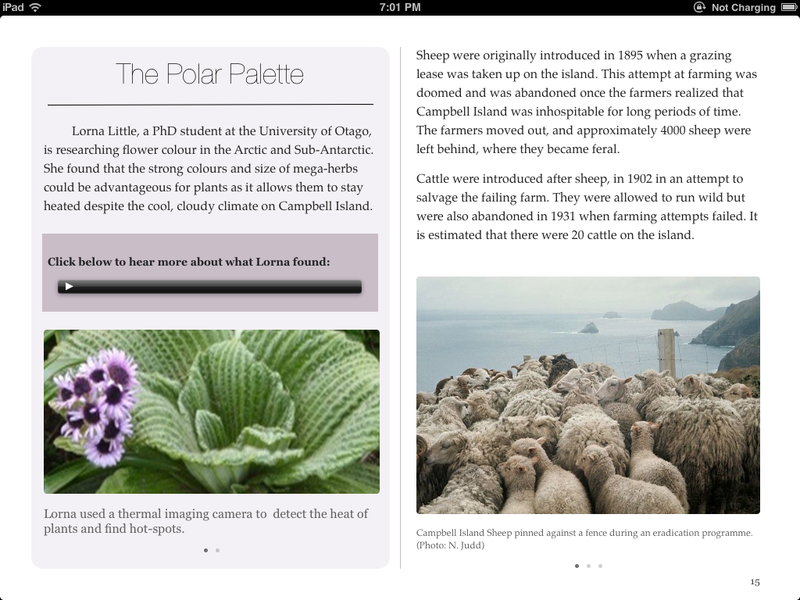 Exciting news, I am writing an interactive e-book! It’s all set to be finished by Thursday. Because I am impatient and a sucker for procrastination, I thought I would share a sneak peak! Let me know what you think so far in the comments below! 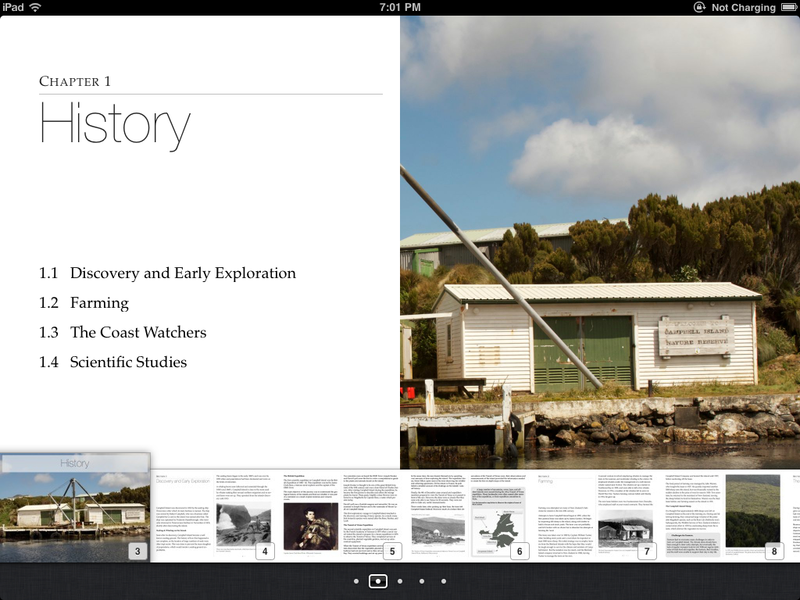 It’s going to be a while until the e-book is published, but I hope that it will be available on the Apple store by early 2013. Meet my New Website About the Campbell Island Teal! It’s that time of the year again, the annual Bird of the Year contest is upon us and I am campaigning for a bird that I blogged about and then fell in love with, the Campbell Island Teal. To celebrate, and try to get some votes, I have launched a brand new website that you can check out. I’ve told my friends, my family, and my followers to vote for this duck, and people keep asking me why they should vote for the Campbell Island teal. It’s a good question and while I always encourage people to vote for the bird that they hold most dear to them, not enough people know this bird exists! The Campbell Island Teal story is not well-known and so how can people hold it dear to them if they have never even heard of it? My main objective of this campaign is to raise awareness and that’s why I decided to create an informative website that introduces the world to this tough little duck. It’s all about the Campbell Island teal and has all sorts of information. From basic behaviour, to videos, to the story of how it was saved from the brink of extinction. I hope you will go and take a look. I want all of Aotearoa to know about this little duck, where it lives, and its neighbouring island. Because I think the Sub-Antarctic Islands are the coolest place in the world (no, literally, they’re quite cold) and I want everyone else to think so too! P.S. You can vote for the Campbell Island Teal in the Bird of the Year competition right HERE! Facing up to the Future of Conservation with Forest & Bird. 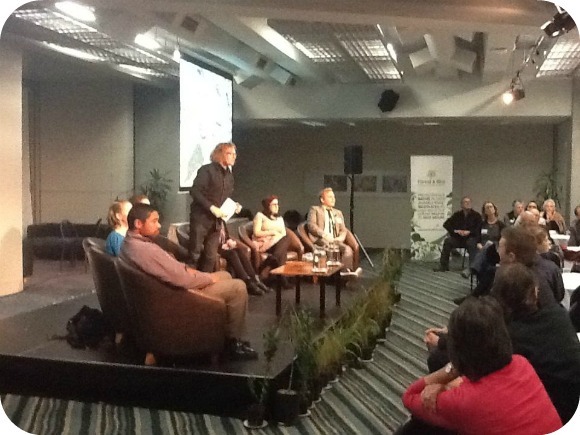 This weekend I went to Wellington for the Forest and Bird Conference (called Face up to the Future) where I was on a youth panel called the Nature of Tomorrow. I started off by making it known just how much I love the Sub-Antarctic Islands. That’s a lot, in case you happen to be the most oblivious person known to man. Our host, Te Radar asked the audience if they knew where the Sub-Antarctic Islands and a surprisingly small number of people raised their hands (I assumed that I would be preaching to the converted). When asked if they had worked on, been to, or knew about any of the issues going on in the region, there were even fewer. What made the weekend especially interesting was chatting to a few of the people who are currently involved with (or running) the Our Far South campaign. When he’s not hosting youth discussion panels, making award-winning documentaries, or being an all-round funny guy, Te Radar is a spokesperson for the Our Far South campaign. He’s currently working on a documentary set for release on the 3rd of July, which I cannot wait to see! Sarah Wilcox & Te Radar on Campbell Island during the Our Far South expedition. The Sub-Antarctic islands were just a fragment of the thought-provoking discussion we had. The diversity of the panel meant that we were able to touch on a range of subjects such as environmental politics, shark-finning, predator control, water quality, societies dependence on coal, and even the ever-so-controversial theme of intergenerational justice. And the fun didn’t stop there. The next day we were able to sit in on the rest of the conference where everything from the (always controversial) politics of conservation to Nicola Toki’s talk about Sir Paul Callaghan’s vision for a predator-free New Zealand was covered. All in all it was an awe-inspiring experience that has set me up for months of energy to ‘get-up-and-go-save-New-Zealand’s-wild-places-and-creatures’. The one thing I find myself questioning is complacency and its relationship to social media. I can’t help but wonder if our generation think that by sharing a post they are saving the world and have found myself questioning myself on how we can get actual involvement from youth rather than clicks. In saying that, I highly recommend having a look at the twitter feed from the conference, it’s got great quotes, summaries, and general responses to some of the thought-provoking speakers and the conference in general. If you couldn’t make it, you can at least feel like you were there. And if you could, you can refresh your memory of some of the key issues that were raised! There’s also this article by the lovely Isosbel Ewing that gives a nice summary of what went on at the youth panel discussion. Look out for this article on the conference in the latest Forest and Bird members magazine. Thanks a bunch, Forest and Bird! It was great. Just try and stop me from coming along next time! The Mega-Herbs of Macquarie Island are Back in Bloom! 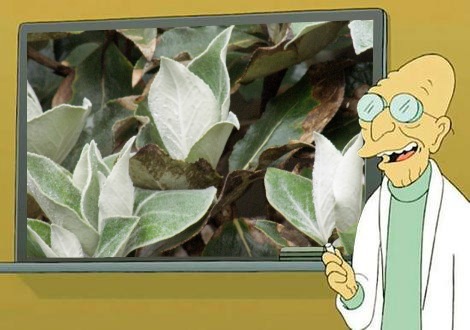 I feel as though I have been writing about the effect of pest species on the Sub-Antarctic Islands a lot as of late and so when I saw the topic for this blog post, I couldn’t help but share it. Who doesn’t love good news? ECOS Magazine recently reported that the large-scale operation to eradicate rabbits from Australia’s only Sub-Antarctic Island, Macquarie Island, is already doing good things for its wild inhabitants. The article, Macquarie Island is Back in Bloom, tells of ecstatic scientists who have watched the islands mega-herb populations take over the island quicker than anyone had expected. Rabbits have been a problem on Macquarie Island for a number of years, but have become most troublesome recently. As I mentioned in my previous post on pest species, rabbits are most dangerous in large numbers, especially to local vegetation. The last estimate of the population size of rabbits on Macquarie Island was around 100,000 and in such large numbers, they can certainly mow through the vegetation. These mega-herbs are crucial for a number of invertebrate and sea-bird species that are, in many cases, endemic to the island. What’s more is that Macquarie Island has peat soil that is easily eroded without the support that these mega-herbs provide. So how did they achieve it? Eradicating such a virulent species from an isolated island is no easy task. 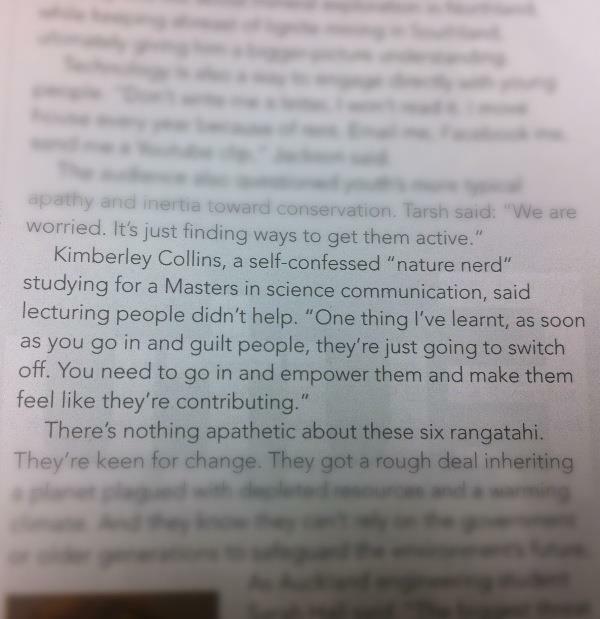 The snippet below from the ECOS Magazine article sums it up nicely, but I highly recommend having a look at the full article and doing a little dance for the mega-herbs of Macquarie Island. “Three months before aerial baiting resumed in 2011, rabbit calicivirus was introduced to the island to reduce the rabbit population. This step was part of a risk management strategy to minimise the number of poisoned rabbit carcases above ground that could be eaten by predatory or scavenging seabirds.